The main goal of Journal of Academic Research and Studies is comprise a scientific platform for academics who desire to share their knowledge, notions, findings and researches with colleagues while contributing in the named disciplines in national and international level. 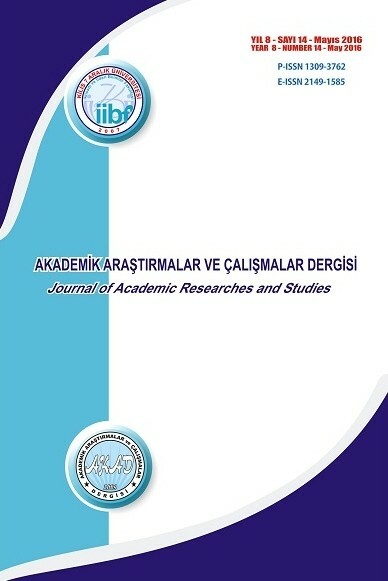 AKAD Journal, a scientific peer-reviewed one, has been published by the Faculty of Economics and Administrative Sciences at Kilis 7 Aralik University at least twice in a year, in May and November since 2009. Applied, institutional, theoretical works along with analysis and definitive, qualitative and quantitative researches in relation to Economics, Business and Management disciplines could take places in the journal.